The 2019 MDD is on April 27. SAFELITE AUTOGLASS is returning to be the title sponsor for the 8th year! SOUTHERN RUBBISH is returning as a 4th year sponsor! Another great shirt design from GRAPHIC SOLUTIONS GROUP in Kennesaw! Thanks Lisa Milroy Lappert and team for joining us for a 7th year! SOUTHERN RUBBISH is returning as a sponsor for the 3rd year! THE HAYES FAMILY OF DEALERS is returning as a sponsor for the 7th year! RETURNING FOR 2016 The Northeast Georgia Heart Center has fielded a team of 40 to support the Southeastern Brain Tumor Foundation! 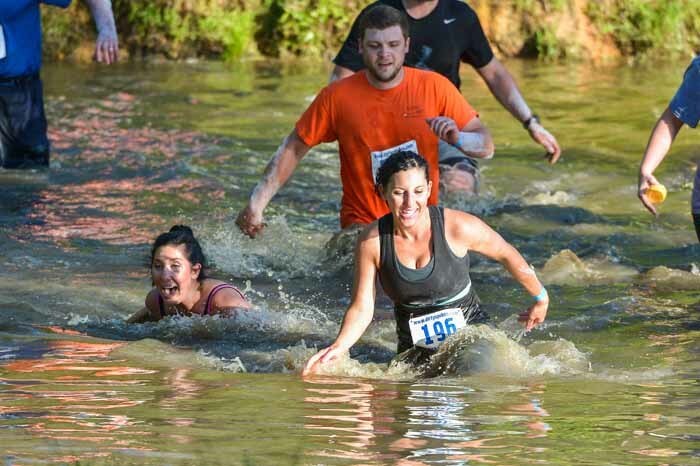 They named themselves TEAM MUDDY DUCKERS! They are running for loved ones! Greg Boss and Miram Fowler you are remembered! Kathleen Sable and her group of supporters participated in the 2015 MDD honoring Shawn Clements, a brain tumor warrior. Prayers for Shawn and her family! 2019 Title Sponsor - please support them as they support the Southeastern Brain Tumor Foundation and the MDD! 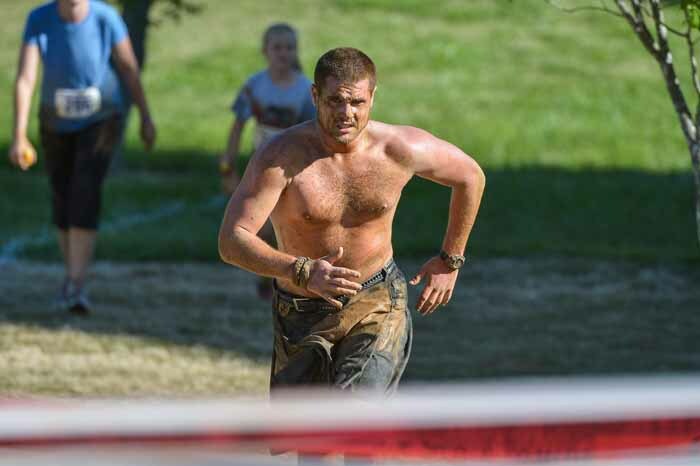 Come join the fun over this 3+ mile mud run/obstacle style course! 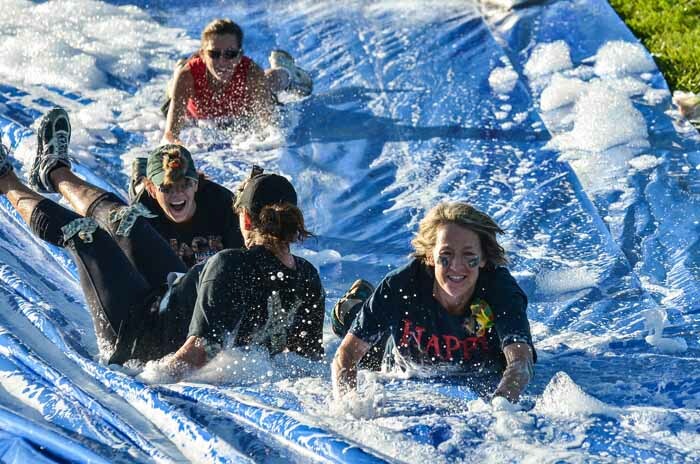 Great obstacles to go over, under, through, and around including 125′ slip n’ slide, hay bail climbs, 6′ walls, shallow pond crossing, low wire, live wire, two creek runs, mud pit, rope hill climbs, various barricades, silly brain quiz, tree maze, plus more! 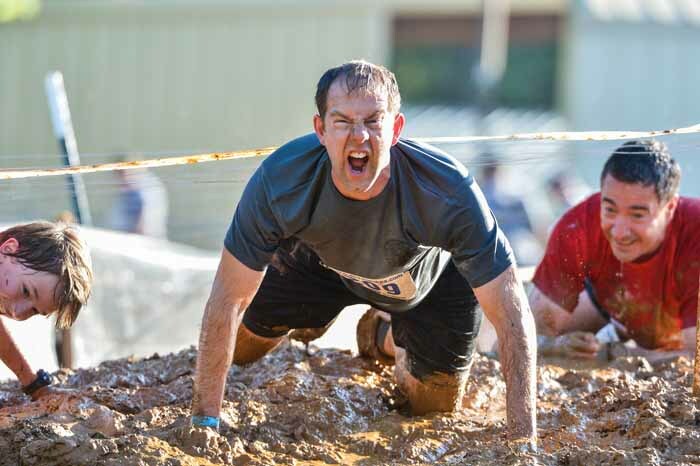 About 22 obstacles over about 3.5 miles. 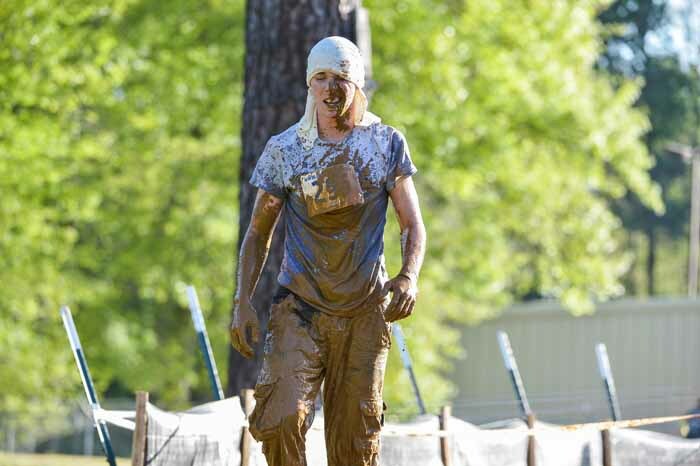 The 2019 Muddy Duck Dash sponsored by Safelite AutoGlass, will be held on April 27, 2019 at the Gainesville campus of the University of North Georgia (formerly Gainesville State College). 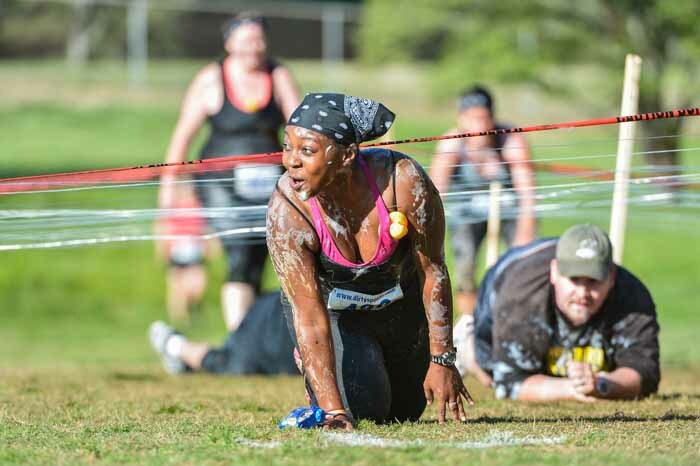 This event is an easy to moderate 3.5 mile mud/obstacle style race that will benefit the Southeastern Brain Tumor Foundation. 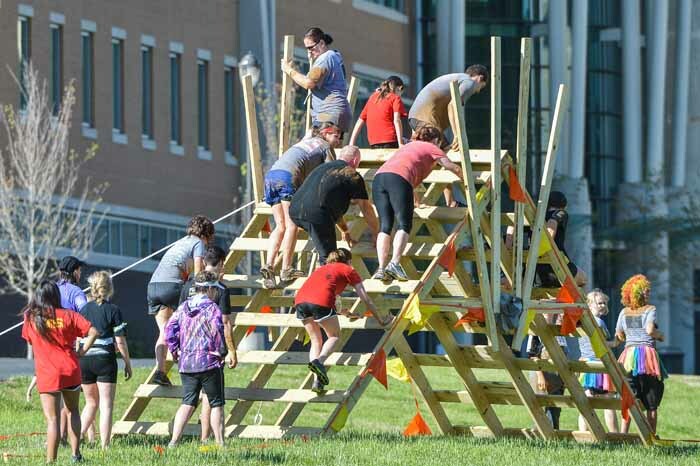 The course includes about 20 obstacles. Rain or shine, come have fun for a great cause! 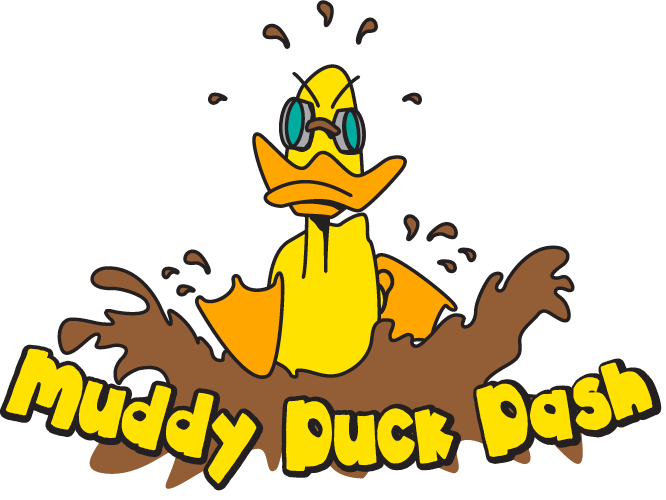 Check out our Facebook page: Muddy Duck Dash. All racers will be provided a rubber duck as part of the race packet that must be with them at all times during the run. We joke that your rubber duck is racing – you are just getting it to the finish line! Your duck can only complete the course on your person. Take care of your duck, love it, care for it, and help it get to the finish line! It must be safely in your possession at all times! Make your duck proud! 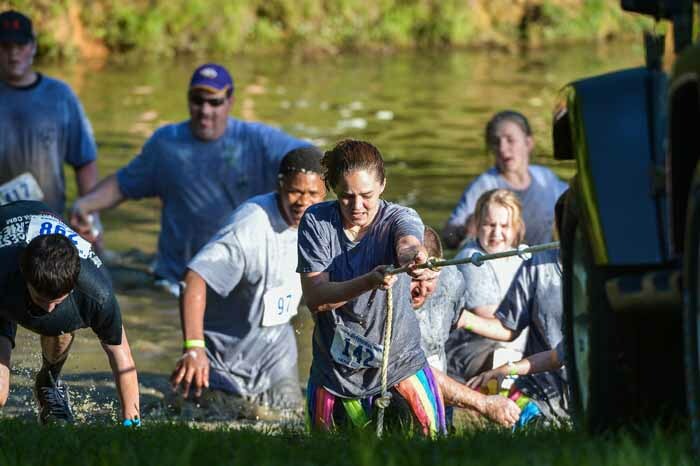 WE HAVE A KIDS’ RACE, TOO – Kids are welcome to register for the 3.5 mile event if parents feel they are capable – age does not limit anyone from the 3.5 mile Muddy Duck Dash. We have had kids from 5 and up complete the race. 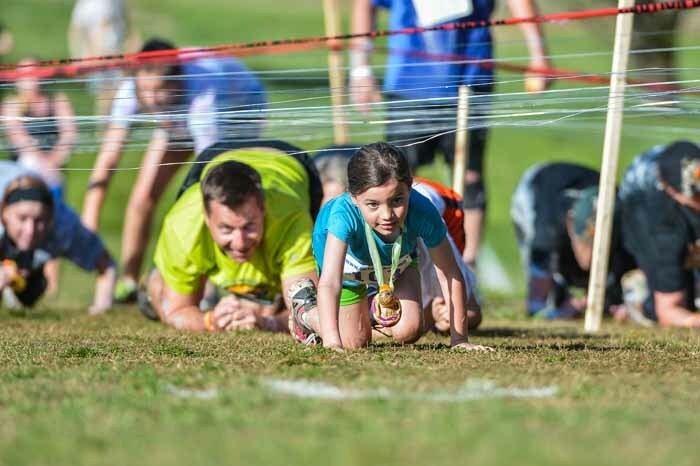 We offer the shorter 1 mile kids’ race to encourage youth fitness and family activity. T-shirts are provided for all entrants that register before the shirt order deadline. Group/team rate of 5+: Feb 1- April 25 $40 per person – you can create a team through the registration link. 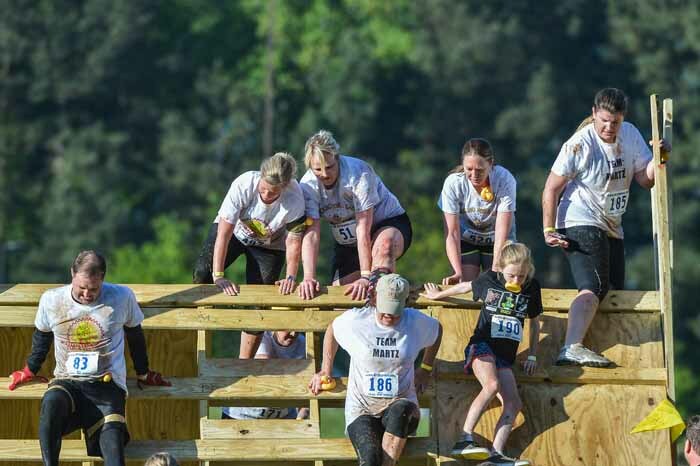 Race Day Registration: Saturday, April 27, 2019 from 7:00-10:00 AM EST. No team discounts on race day. Register by April 1 to ensure your desired shirt size. If you register after April 1, we cannot guarantee shirt size will be available. Kids races: 1 mile Duck Dash $20 up until and on race day. The little ones get shirts, too! Start times/Wave assignments: You can chose your wave by registering on the registration link above. 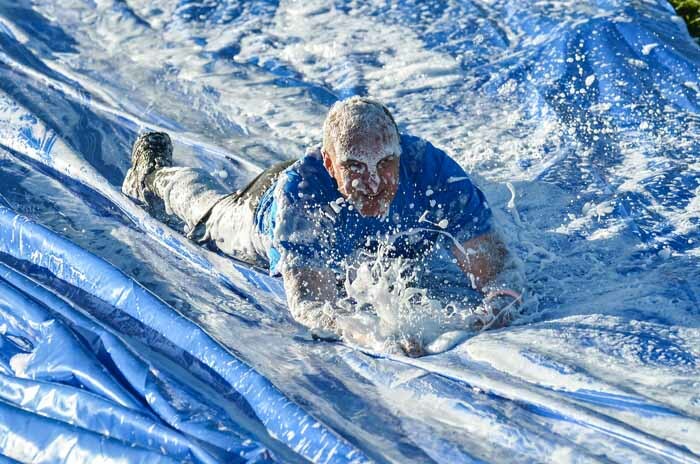 It is VERY important you run in your assigned wave. Projected wave start times: 8:00 am, 8:15, 8:30, 8:30, 8:45, 9:00, 9:15, 9:30, 9:45, 10:00, 10:15, 10:20, and 11:00 kids dash. There is a pre-race meeting at 7:50am, though not mandatory. Kids 1 mile race will start at approximately 11:00. 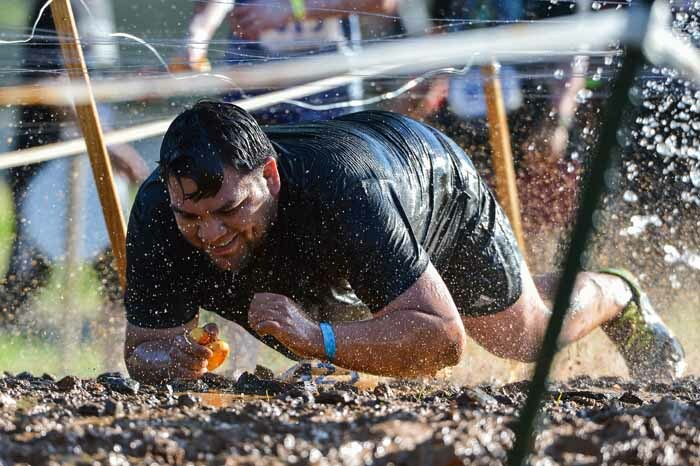 We will no longer be collecting “dirty” shoes at the end of the race. 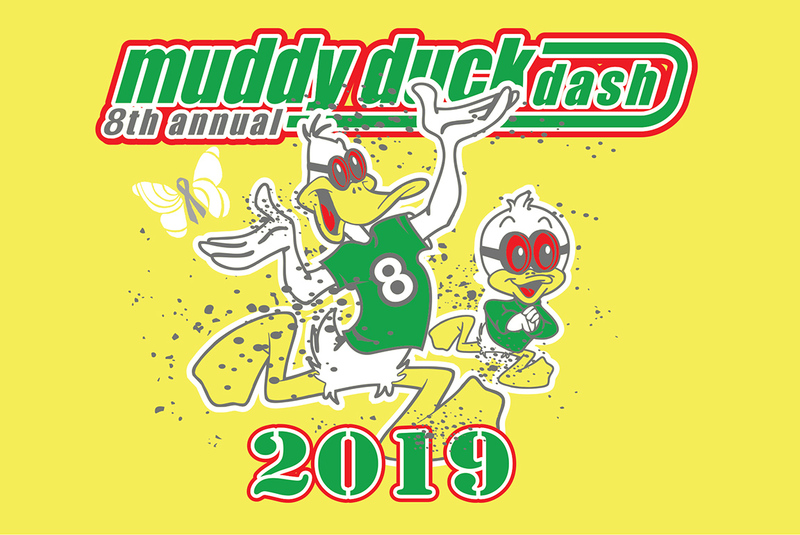 Registration for the 2019 Muddy Duck Dash is now open! 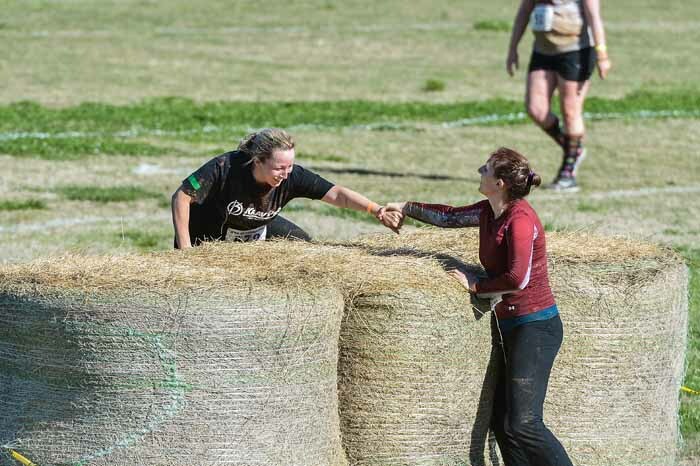 We can’t wait to see you all on race day – April 27, 2019! Visit our registration page today to take advantage of early bird pricing!